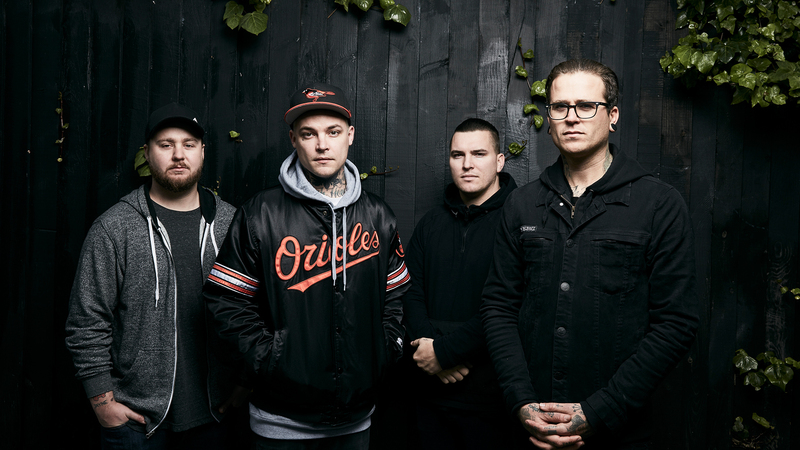 Leading up to their North American tour in support of The Amity Affliction’s most recent album, This Could Be Heartbreak, we caught up with drummer, Ryan Burt, to talk about the group’s tour habits and favorite songs to play live. With an unflinchingly honest setlist and a loyal following, the metal band holds nothing back, providing fans with a sense of catharsis at every show. Check out our exclusive interview below and track them on Bandsintown so you don’t miss them when they come to a city near you! You all met and assembled the band while living in Queensland. Would you say that you grew up in a musical environment or did you seek out your own? I grew up in a very musical environment. I was in bands in the Brisbane area and ended up meeting the guys through mutual friends. Is there one song on This Could Be Heartbreak, that you find hands-down the most fun to play live for your fans? I'm torn between "This Could Be Heartbreak" and "Fight My Regret". They're both super fun to play but in totally different ways. Are there any covers that guys have found work well within your set? We've been covering The Ghost Inside's, "Engine 45". We did it for a little tribute for our friends in TGI and it turns out it fits really well in the set and is really fun to play. Your songs are deeply personal - do you find it cathartic to get up on stage and perform them live? Of course. Every time I come off stage it feels like I've just let out a whole bunch of anxiety and stress. Your North American tour kicks off in just a few days, is there one venue or city that you haven't played yet that you're most excited about visiting? I think we've covered every city there is to be covered now , but I'm always excited to play New York, LA, SD just to name a few. What does a typical day off mean for you guys? Usually just relaxing. Eat lots of food, maybe see movie. Sometimes even play a round of golf . Depends how we're feeling. Is there a stand-out, memorable interaction that you guys have had with a fan while on tour? Honestly there's too many to name now. Our fans are some of the most passionate people you'll ever meet. If you could pick three songs that are an absolute must for your driving playlist while on tour, what would they be? It's too hard to pick just three songs. I'd just pick a mix of '80s and '90s bangers. Cereal. lots and lots of it.